A foodbank in Wales was shocked after receiving a nearly half-century-old can of soup as a donation. 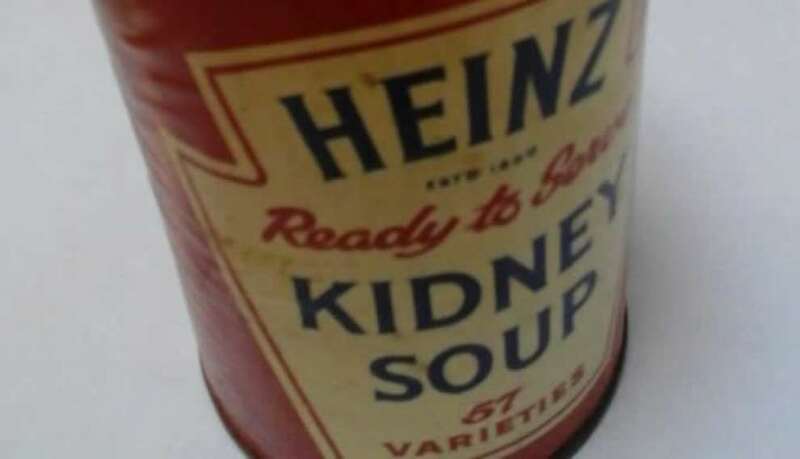 Cardiff foodbank on Thursday shared a photo of the decades-old can of Heinz kidney soup after spotting a sticker listing its price in the nation's old form of currency. "It's a record!! Never had a donation with 10d on before!" the foodbank said. Heinz UK's official Twitter account confirmed the can of soup was so old the company discontinued decades ago. "Wow! That soup was discontinued over 35 years ago," the company said. Staff eventually determined the can of "ready to eat" soup was 46 years old and was part of a "hilarious" donation that also included a can of Green Giant sweetcorn dating back to the 1980s and a can of Del Monte carrots, WalesOnline reported. "It would be great if anybody wants to give us lots of money for it," the foodbank's partnership and fundraising manager, Hellen Bull, said. "It should probably be in a museum." Bull said the cans were donated as part of the harvest festival and the foodbank was unsure who dropped them off. "It's out of a generous heart but I just think they don't think and don't necessarily look at the dates," she said. She added the foodbank would likely hold onto the cans to remind others to check the dates on their donations. "Please could we remind everyone that food donated needs to be in date! Thank you," the foodbank said.